Construction Techniques and Equipment | Who Built Our Capitol? 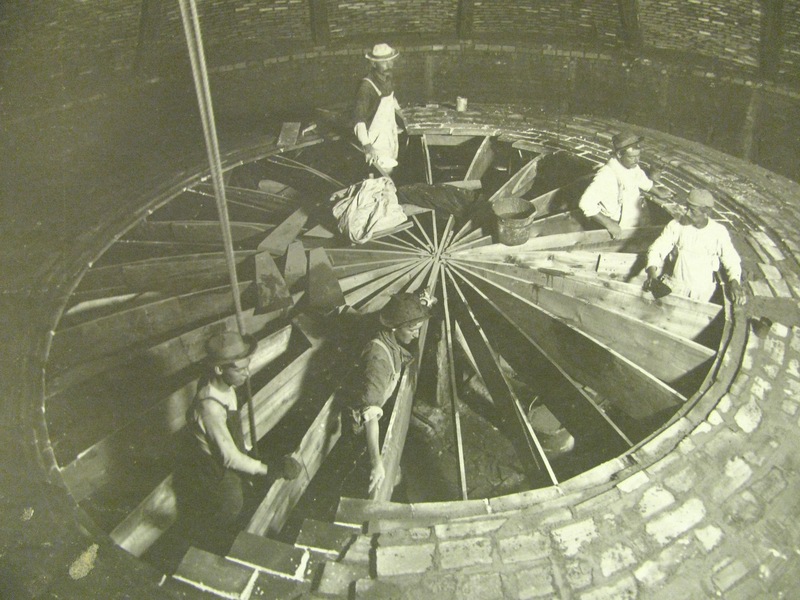 The work on the Capitol and in the quarries was done largely by hand. 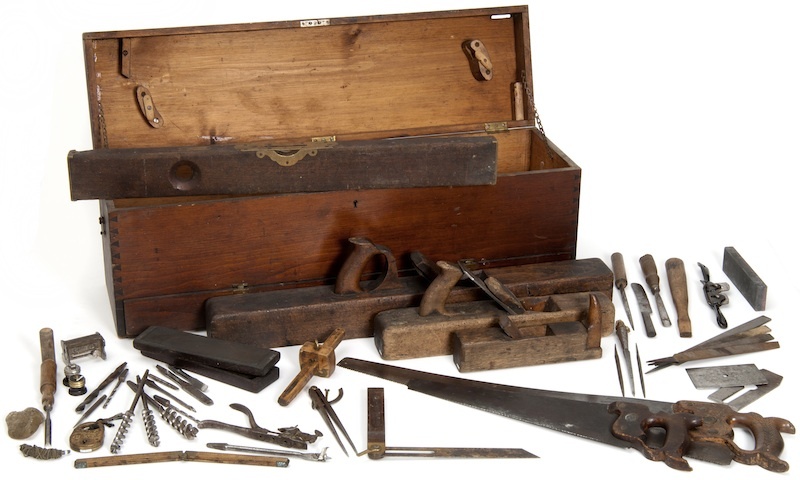 A number of these photographs show the hand tools that were used. The power for hoisting loads was provided by horses and at times by men. 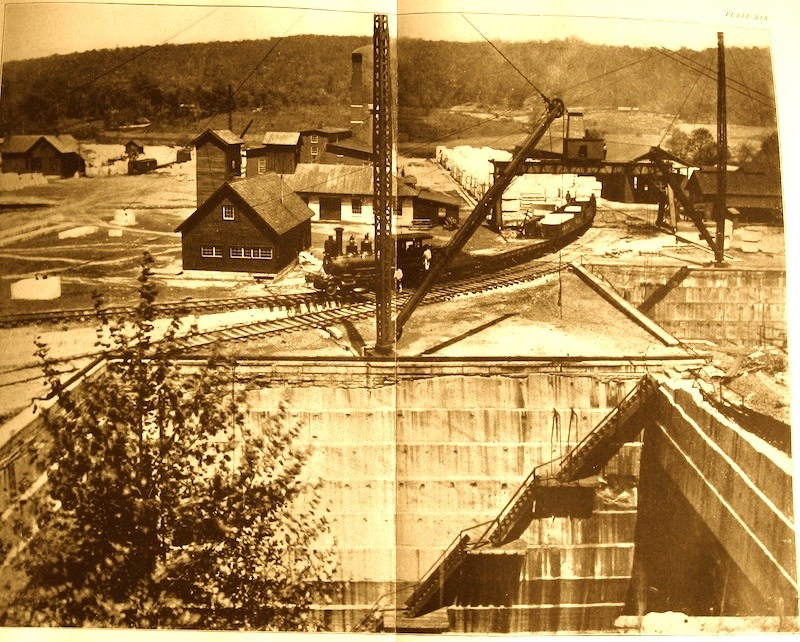 However, when heavy blocks of stone or other construction materials had to be moved, steam powered cranes and hoists were used. 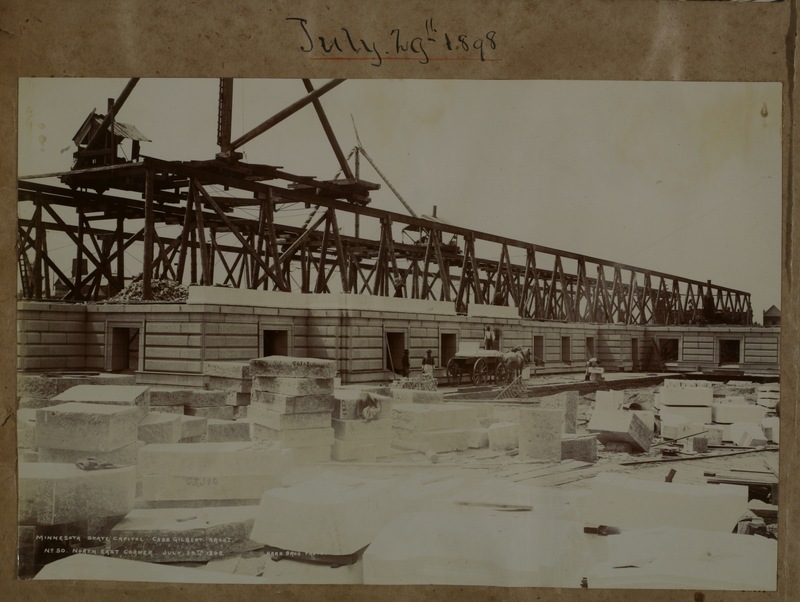 On the Capitol site, several hoists, some on raised tracks atop the rising building, were used to lift heavy blocks and iron girders into place. 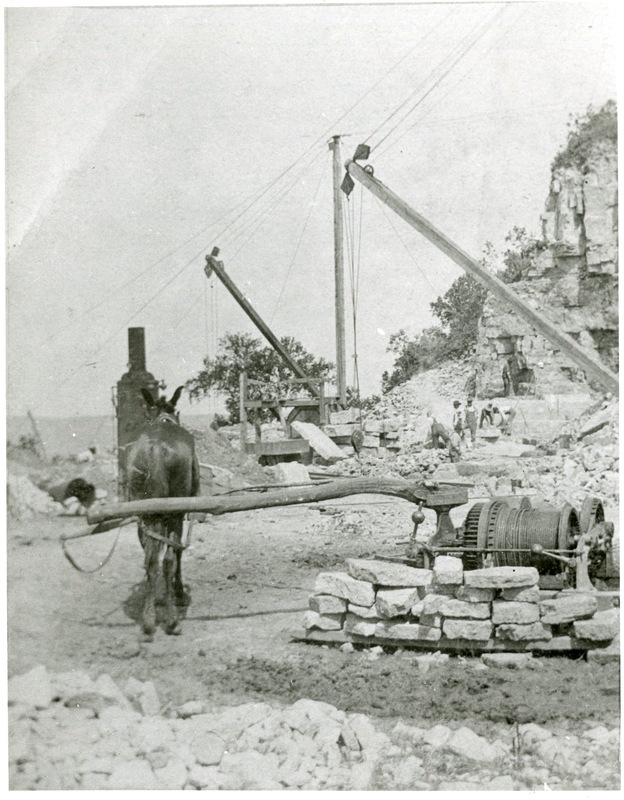 Quarries used human and horse-powered hoists to lift and move stone blocks shorter distances, as well as steam powered hoists to raise blocks from inside the pits to nearby railroad cars. 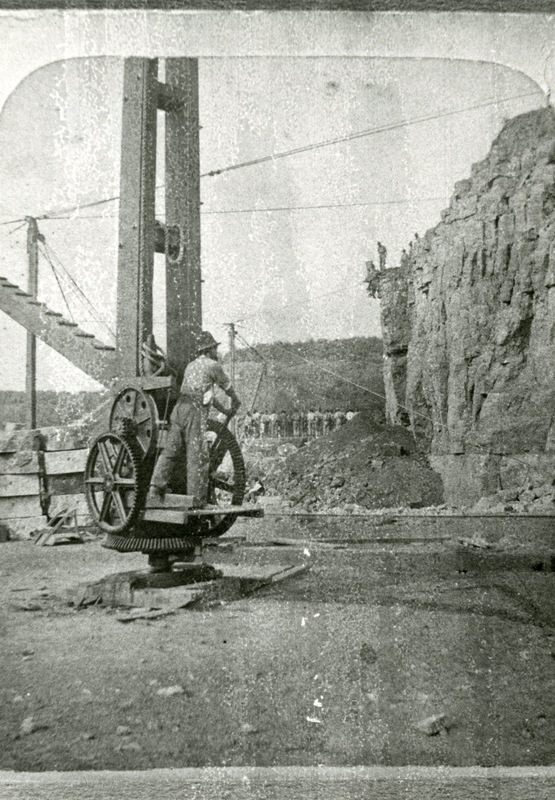 Steam-powered drills, channeling and polishing machines to cut and extract stone blocks, as well as pneumatic chisels to shape stone were introduced during the statehouse construction period for use in quarries and construction sites. 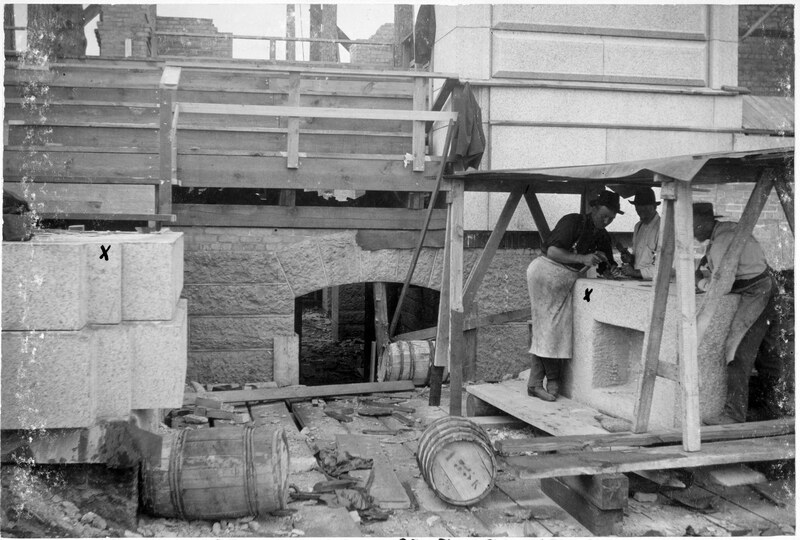 This photograph shows stone workers constructing the hollow granite block that became the Capitol cornerstone in 1898. Note the hand tools - mallets and chisels - in use. Steam-powered hoist at edge of quarry used to lift blocks of marble from the pit onto railroad cars, Pickens County, Georgia. 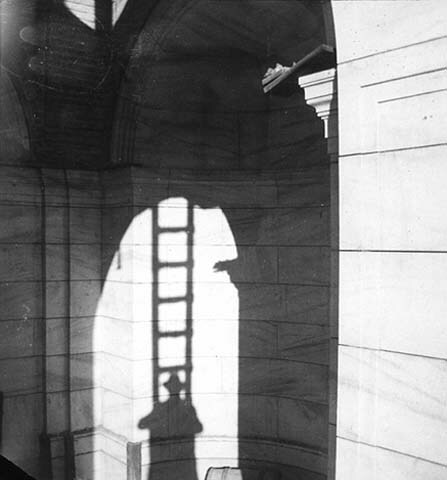 Photo from Georgia Historical Society. 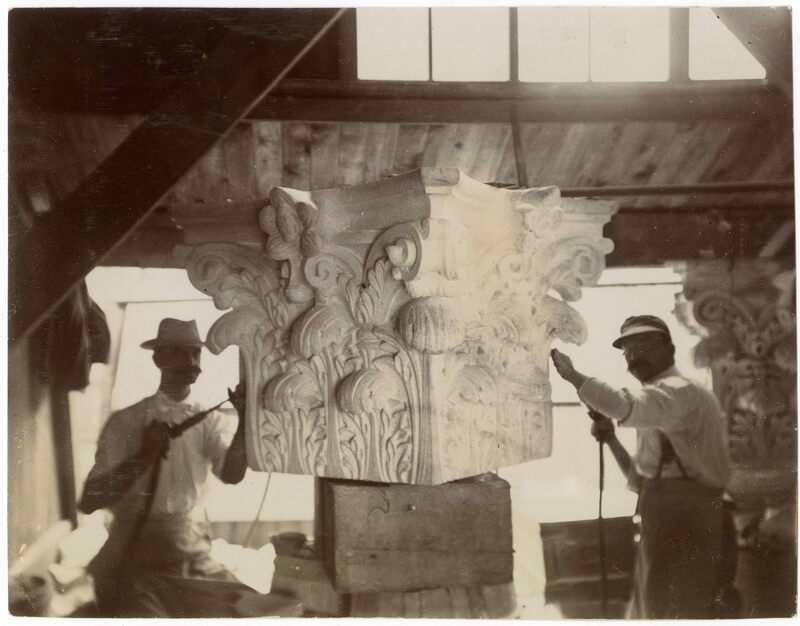 Image courtesy New York Historical Society. Used with permission.